Technology- Profit Differentiator or Limiter? 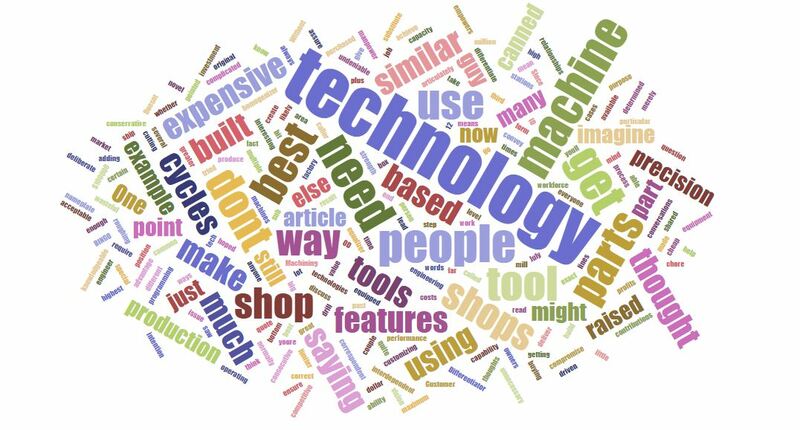 I have had some interesting conversations with a couple of shop owners after they read our article Technology or People in the July issue of Production Machining. The point that I had hoped to convey was that while the contributions of technology to our shops’ bottom lines is undeniable, it is up to us to get our people in position to take maximum advantage of the technology- to lead the technology. One correspondent pointed out that they purchased technology so that they could still get production with the available manpower in their area. They thought that getting people who could use the technology that they had was chore enough. 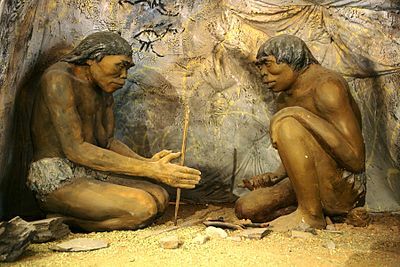 They were buying technology with canned cycles so that they could produce with out a lot of engineering and programming, which was not a strength of theirs based on their workforce. Another person called to discuss the article and said that to them, they thought that technology was in fact a “great equalizer” or “homogenizer.” That shops with the same technologies would likely quote similar parts to similar times and costs based on using the technology in similar ways based on how it was equipped from the factory. So they saw technology not as a way to differentiate shops, as much as a way for multiple shops to get to a common and competitive level of performance. The third caller shared how they were able to make parts using a sub $100,000 mill in their shop- while their Customer could not get the parts correct on their million dollar plus technology. Was he saying that the little guy and the cheap equipment will always beat the big guy and their expensive technology? Not at all. What he was saying is that it is up to all of us to assure that our people and our technology are operating at their highest and best use. Not just their nameplate or nominal capacity. He was saying that technology is the tool that can best help us achieve our vision and fully realize our abilities. Technology is the best means available to us to deliver the best that we can think of. It is our thinking therefore, that leads our technology. What is the purpose of technology in our shops? Is it to substitute for knowledgeable people and still get acceptable parts to ship? Is it to ensure that our shops are competitive in the market? Is technology merely a means to an end, and best driven by deliberate intention to give the engineer the ability to make the parts the best way that they know how? Without the need for an unnecessary investment? Or is technology the tool that empowers our people to deliver the best that that they can imagine? What Is The Purpose of Technology In YOUR Shop? Thanks to the folks that gave me a shout to discuss the article. We learn so much from our conversations. Actually, a million thank yous! Thanks to readers like you, SPEAKINGOFPRECISIONBLOG has over 1,000,000 views. We’ve come quite a way since that very first post! 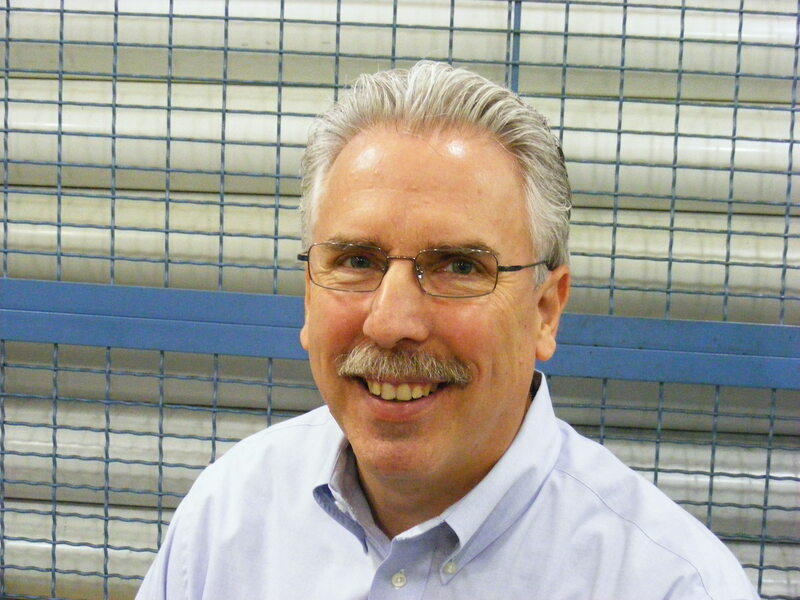 Our post on The Difference Between Accuracy and Precision Measurement in Your Machine Shop is our most popular with 44,445 views. Hardness vs. Hardenability- There is a Difference is our second most popular post at 35,780 views. 5 Facts About Manganese in Steel, 7 Causes for Quench Cracking of Steel, and Why Manufacturing is the Right Career Choice- DATA! all came in between 21,000 and 30,000 views each. Average number of times a post gets seen on PMPASPEAKINGOFPRECISIONBLOG: 1048 times. But as an individual, as someone sharing knowledge and experience- 1,000,000 views; 1,000,000 shares of information; 1,000,000 human to human connections- that is an unexpected and very satisfying validation. Thank you for spending a small part of your day with me here at my blog. Together, we’ll continue to make sense of the the issues that make a difference to all of us in North American Manufacturing. Do I believe in the power of social media to help us connect and share? You bet I do! 1,000,000 times YES! 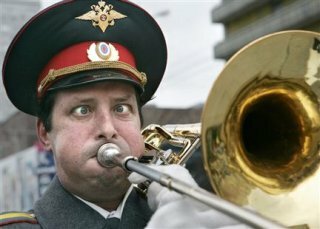 Tooting Own Horn photo credit. Decarburization on surface layers can affect heat treatment and hardness attained on parts. Decarburization also provides evidence of where in a process a defect or imperfection occurred. Most defects in steel workpieces encountered in our precision machine shops are longitudinal in nature. While their presence alone is enough to concern us, for the purposes of corrective action, it becomes important to identify where in the process the longitudinal imperfection first occurred. Visual examination alone is not enough to confirm the source. Did it occur prior to rolling? During rolling? After rolling? Understanding decarburization and how it presents in a sample can help us to identify where and when in the process the imperfection first occurred. The question that we want to answer as part of our investigation is usually “When in the process did the defect first occur?” Looking at decarburization and any subscale present can help us answer that question with authority. The light area (ferrite) surrounding the dark intrusion is decarburization. note the lack of pearlite in this decarburized (lighter) zone. There is no evidence of scale, indicating that this defect was created during, rather than prior to rolling. The carbon and alloy steels that we machine contain carbon. In the photo above, the carbon is contained in the pearlite (darker) grains. The white grains are ferrite. 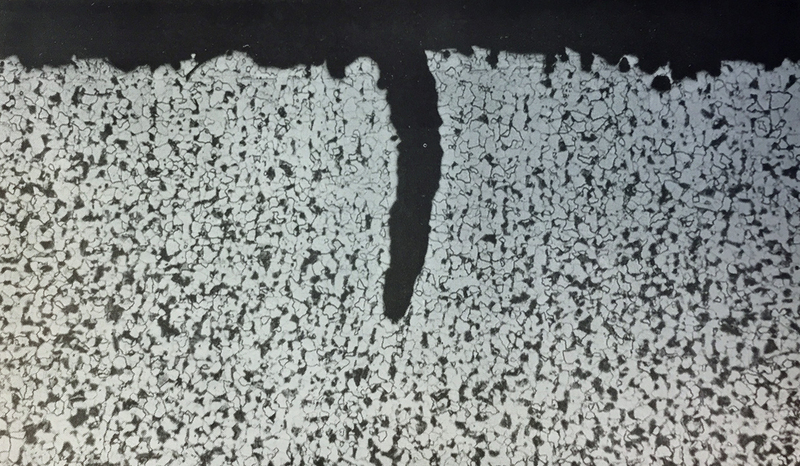 In an etched sample, decarburization surrounding a defect is identified as a layer of ferrite with very little, or none of the darker pearlitic structure typically seen in the balance of the material. The black intrusion in the photo above is the mount material that has filled in the crevice of the seam defect. Subscale is a reaction product of Oxygen from the atmosphere with various alloying elements as a result of time at high temperatures. The presence or absence of the subscale is the indicator that helps us to pinpoint the origin of the defect. For a subscale to be present, the time at temperature must be sufficient for oxygen to diffuse and react with the material within the defect. According to Felice and Repp, 2250 degrees F and fifteen minutes is necessary to develop an identifiable subscale. Lower temperatures would require longer times. Typically rolling mill reheat cycles offer plenty of time to develop a subscale in a prior existing defect. However, for defects that are created during rolling, the limited time at temperature and the decreasing temperatures on cooling make formation of subscales unlikely. Decarburization is time and temperature dependent. This means that its relative depth and severity are clues as to time at temperature, though interpretation requires experience and understanding of the differences in appearance from grade to grade based on Carbon content. If the decarburization is symmetrical this is an indication that the defect was present in billet or bloom prior to reheat and rolling. oxygen in the high temperature atmosphere of the reheat furnace depletes the carbon equally from both sides of the pre-existing defect. 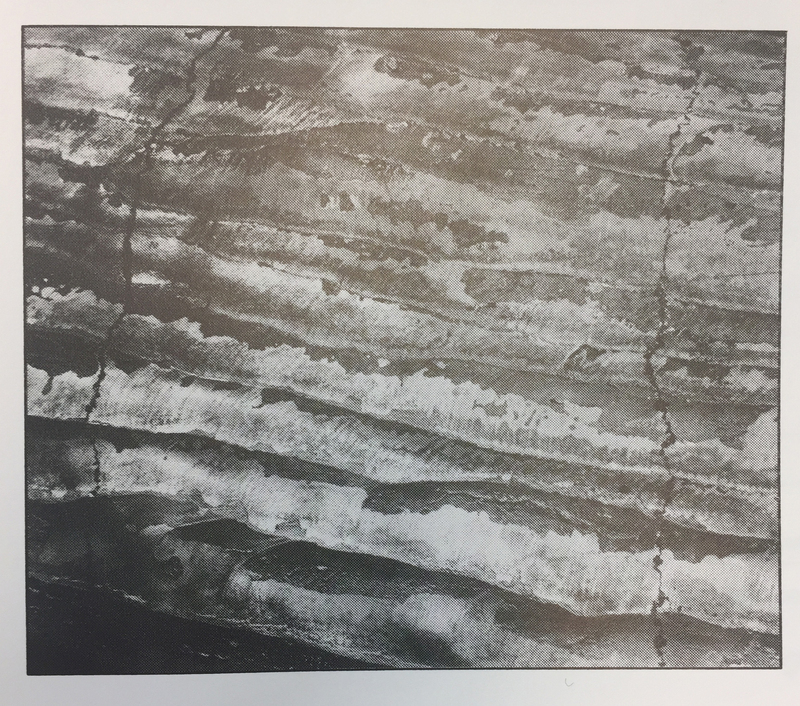 Decarburization that is obviously asymmetrical indicates that the defect is mechanical in nature and was induced some time during the hot rolling process. Ferrite fingers are a surface quality problem that is associated with longitudinal bar defects. During reheat, a defect in the bllom or billet is exposed to high temperature atmosphere, forming decarburization and subscale around the defect. Rolling partially closes or “welds shut” the crack. However, a trail of of subscale is entrained in a formation of almost pure ferrite which has been depleted of pearlite, carbon and alloy by the reaction at elevated temperature. This trapped scale remains a potential oxygen source, driving further internal oxidation and decarburization if temperatures remain high. Continuous improvement requires taking root cause corrective action. Obviously identifying the root cause is critical. When we encounter longitudinal linear defects in our steel products, using a micro to characterize the nature of the decarburization and presence or absence of sub scale or ferrite fingers are important evidence as to when, where, and how in the process the defect originated. Stress Cracks in Steel Bar Products. Stress cracks are often found visually at locations that experience bending or straightening. They are also referred to as “Cross Cracks” or “Transverse Cracks.” Originally they were identified in mill billet and bloom products, prior to rolling. Additional microstructural characteristics can reveal the thermal history of heating and cooling at the crack location. 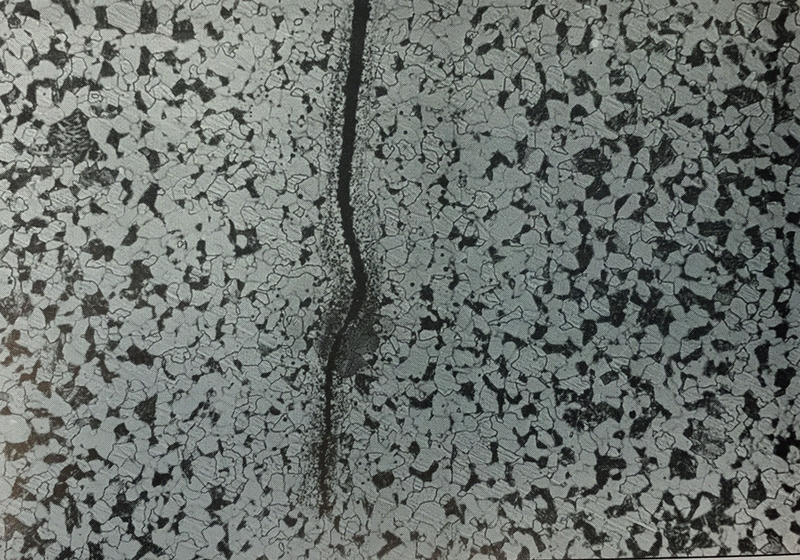 This photo shows stress cracks on a conditioned billet. Excessive load during straightening can exceed the local yield strength of the material causing it to crack; reduce load applied by machine, or consider tempering or stress relieving material prior to straightening or further cold work. Cooling too quickly can also induce stress cracks. Critical cooling rates are highly dependent on steel chemistry. Crack sensitive chemistries (Medium carbon and high carbon steels; also medium and high carbon steels with straight chromium or straight manganese additions.) These steels should be slowly cooled through transformation temperatures to minimize the occurrence. 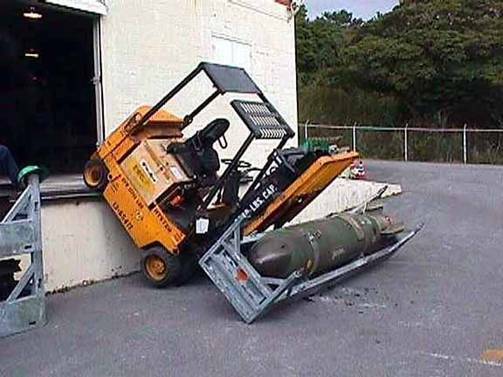 Overloading the material during fabrication, processing, or application. 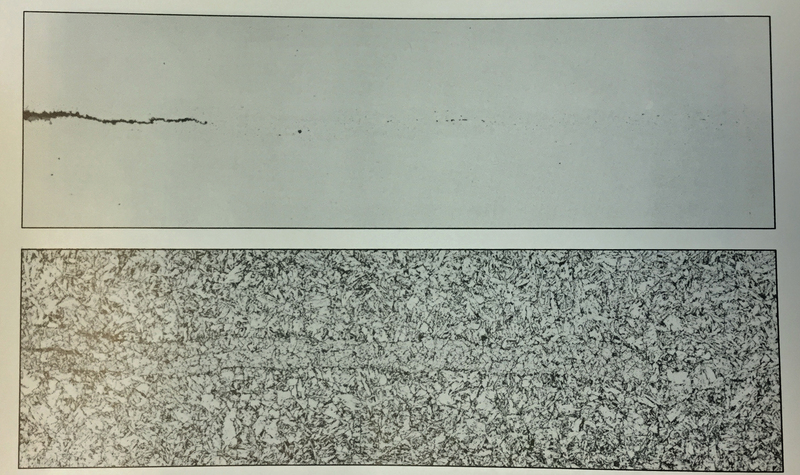 Detection of stress cracks is problematic as their transverse orientation makes them difficult to detect on equipment set up to detect longitudinal defects. The current exemptions for Lead in work piece materials for our shops will remain in effect and will not expire until the EU Commission completes the current ongoing review of the applications. They can run the flags up the flagpoles on schedule, but getting regulatory decisions on time is not something the EU Commission does very well. 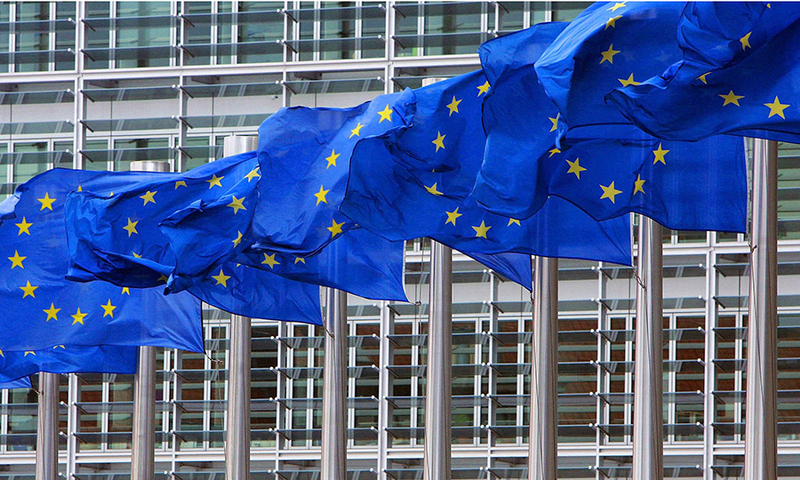 According to Electronics Industry Portal I-Connect007, the EU is unlikely to publish the RoHS exemptions any time soon. Apparently the EU Commission only got around to reviewing the requests last month. December 15, 2016. December 2016! And they are only now in the process of preparing draft legislation to be sent to the member states for consideration later this year. A decision on the RoHS exemptions of interest to the precision machining industry is unlikely to be made until Fall of 2017. The current exemptions for Lead as an alloying element in steel, Lead as an alloying element in aluminum, Lead as an alloying element in copper will remain in effect and will not expire until the EU Commission completes the current ongoing review of the applications. “The EU Commission and Member States continue to meet to discuss the disposition of RoHS exemption renewal requests submitted by industry in January 2015. During their December 15, 2016 meeting in Brussels, the experts reviewed requests on: Lead as an alloying element in steel (Annex III exemption 6a); Lead as an alloying element in aluminum (Annex III exemption 6b); Lead as an alloying element in copper (Annex III exemption 6c); Lead in high melting temperature type solders (Annex III exemption 7a); Lead in a glass or ceramic other than dielectric ceramic in capacitors (Annex III exemption 7c-I), jointly with exemption request 2015-1; Lead as activator in the fluorescent powder (Annex III exemption 18b), jointly with exemption request 2015-3; Lead in solders for the soldering to machined through hole discoidal and planar array ceramic multilayer capacitors (Annex III exemption 24); and Lead in cermet-based trimmer potentiometer elements (Annex III exemption 34).